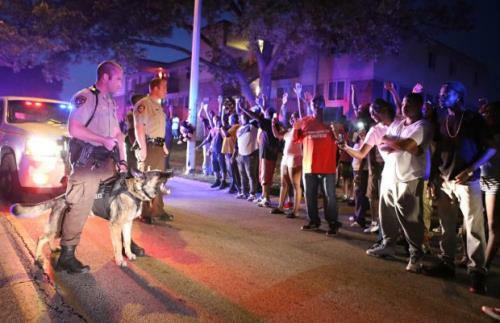 Lost in the racial and justification debate of a Ferguson, Missouri police officer killing an unarmed Black youth is the true benefactors of the incident: The Illuminati elite. The Illuminati realizes their biggest threat is a united, informed population thus they capitalize events like Ferguson to advance their agenda by keeping people in opposition, it is the ancient technique of Divide and Conquer. 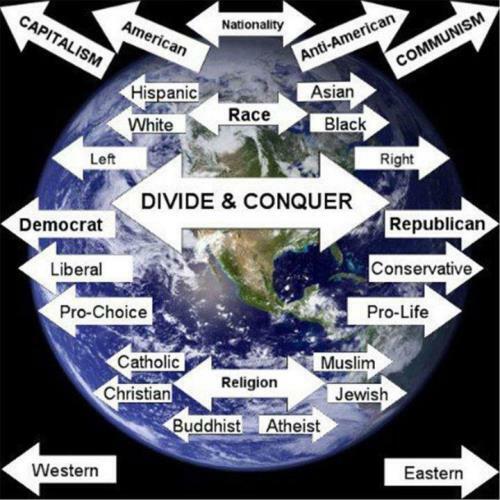 Wikapedia: In politics and sociology, Divide and Rule (or Divide and Conquer) (derived from Greek: διαίρει καὶ βασίλευε, diaírei kaì basíleue) is gaining and maintaining power by breaking up larger concentrations of power into pieces that individually have less power than the one implementing the strategy. The concept refers to a strategy that breaks up existing power structures and prevents smaller power groups from linking up. 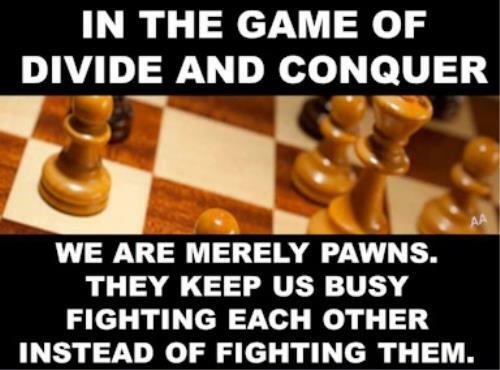 When we are busy fighting among each other: Republican vs. Democrat, White vs. Black, Christian vs.Muslim etc. we are not focusing on the real boogeyman - our real oppressors, the Illuminati elite who profit from our disunity. In the Ferguson case did you notice how weeks before the grand jury verdict the media continually stroked the flames for violence and rioting as if it wanted this to occur? We now who controls the media. Also, did you notice how there were no National Guard on the scene the night of the ruling, even though they were given far advance notice? 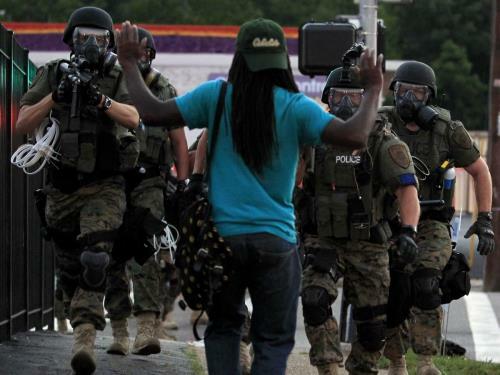 We know who the military and policing authorities. This is no accident. We need to look past the propaganda and brainwashing to focus on our real oppressors. The ones who make unfair laws, buy politicians, tax us unfairly and steal or money and freedoms. It's not your neighbor as they would like you to believe.